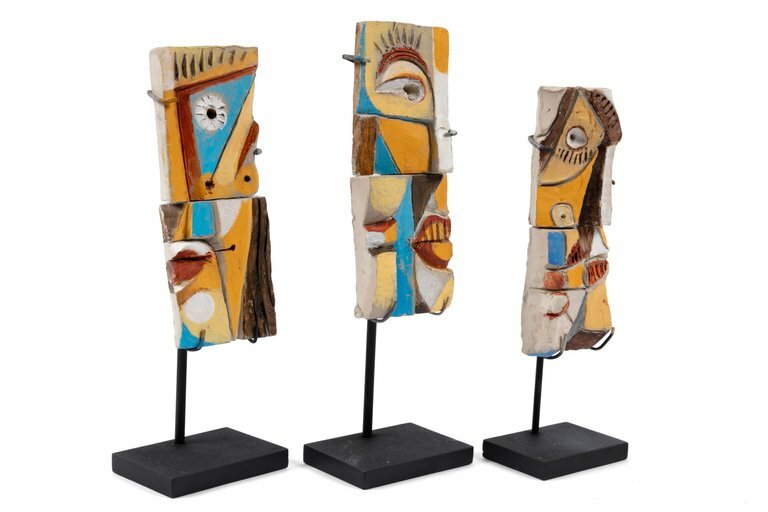 Although he is primarily known for his tile tables he went on to create amazing sculptures later in his life. This is a playful example of that later work. The measurements indicated are for one two piece sculpture without the stand. H 7.25 in. x W 3 in. x D 1 in.